The Itsy Bitsy Spider Crochet: New & Improved Cupcake Pattern! 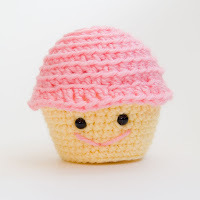 New & Improved Cupcake Pattern! It's been a while (AGAIN!). The holidays kept me super busy this year and I feel like my hook has been going non-stop for the past two months... just not on anything new! 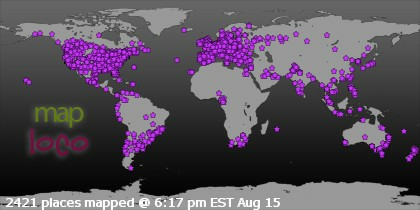 But finally, finally -- I have something to share. 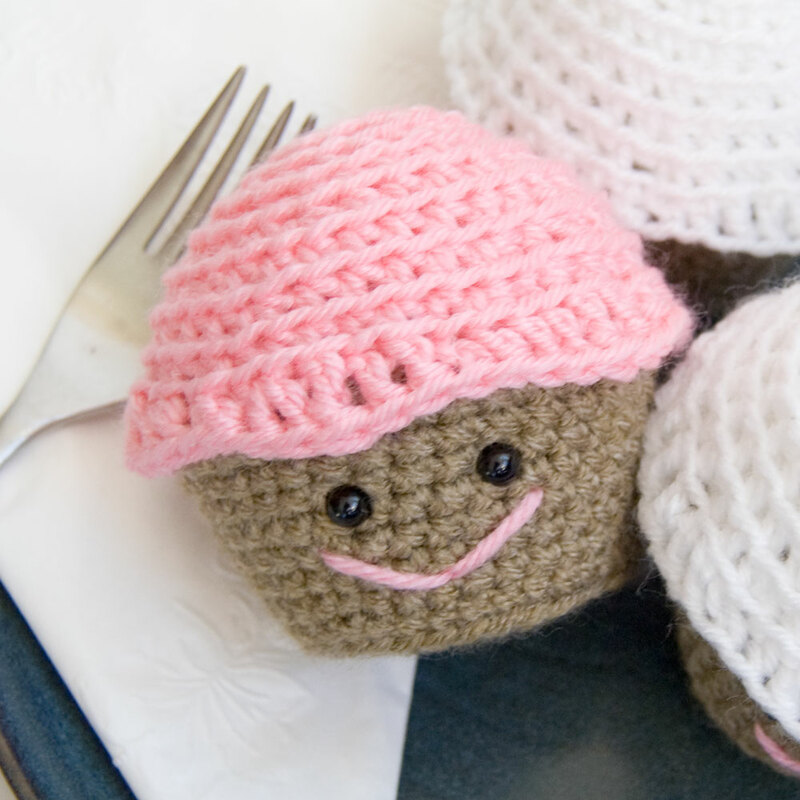 Do you remember that cupcake pattern I made up so long ago? -- When I was first cutting my teeth on pattern design? Well, it has been born anew -- as a free pattern download for the Knit Picks IDP (independent design program). But then Knit Picks introduced their latest line: Brava. Brava is a beautiful acrylic yarn that has a super soft texture. 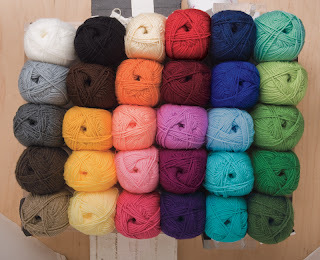 As if that wasn't enough to love, Brava comes in worsted, bulky, and -- wait for it -- SPORT! Those of you who have used my patterns know how I love sport weight yarns and many of my blog followers will remember my dismay when Red Heart toned back their distribution of Designer Sport. Well, Red Heart... your sport weight yarn is dead to me. At only $2.99 a ball ($.50 - $.75 less than Red Heart) and with a quality that Designer Sport could not hope to match, I am a Brava girl from here on out! 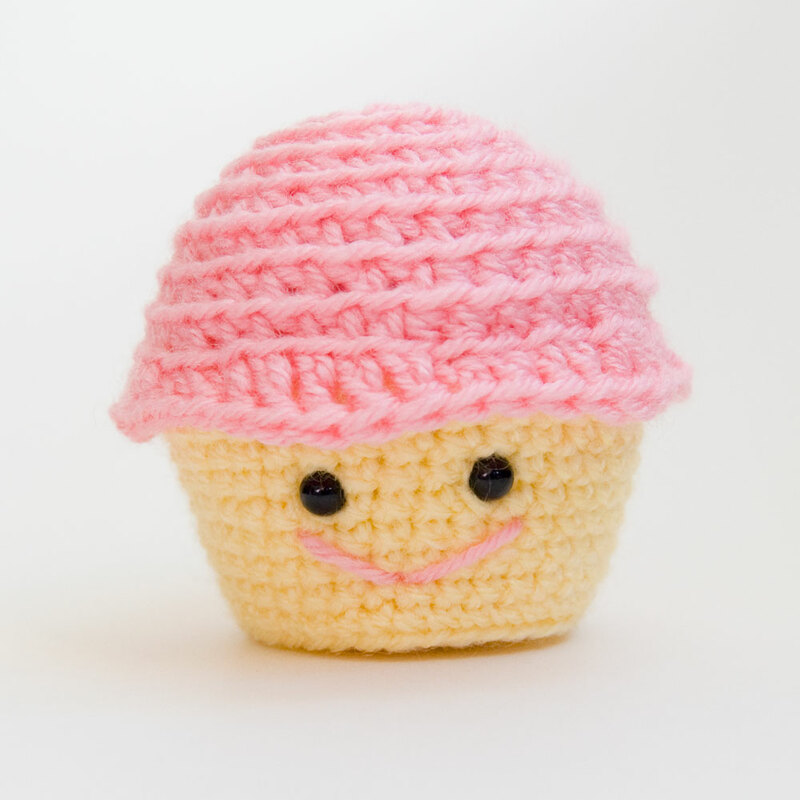 So, back to the pattern -- you can find my new cupcake design on the Knit Picks site (along with hundreds of great IDP patterns), or if you love having everything together on Ravelry, I just loaded the pattern there too! Those who prefer Etsy will also still be able to get the pattern emailed directly to them for the nominal cost of $2.00 (to cover Etsy fees and processing time). So, now that you know where to get your hands on the patterns, I have only to ask... what colors will you choose? how cute!!!! Thanks for sharing the pattern and the yarn find! I will have to check it out!!! Love your cute cupcake! Also love the colours of the new Brava Yarn unfortunately they do not ship internationaly!